What Are the Best Sports for Kids With Autism? Many sports offer great benefits for kids with autism. Some sports can be challenging for kids with autism. That doesn't mean autistic kids should stay away from physical activity, but it is important to help your child to choose sports that they are likely to enjoy and excel at. Autism creates specific challenges when it comes to sports, but it also opens up some exciting possibilities. Teams are all about social communication, and playing team sports requires advanced social communication skills. Autism is a disorder in which those skills are compromised. So it can be tough for autistic kids to fit into a team, communicate well with team members, or predict what another team member is likely to do. Team sports that require ball or puck handling also require a high level of strength and coordination. Autism often goes along with lowered muscle tone and problems with coordination. As a result, autistic children may have a tough time playing well. Team sports are often played in environments that are very hot, cold, loud, or bright. Most children with autism have sensory challenges that make loud noise, bright lights, and temperature extremes difficult to handle. The outcome can be a very unhappy or even uncooperative child. All that said, however, many groups are eager to provide autistic children with opportunities to take part in team sports "just like everyone else." If your child seems interested, you may want to look into special needs sports teams such as those created by the Challenger Club, which offers opportunities designed specifically for kids with challenges and disabilities. Be aware that special needs sports are not always a good lead-in to typical sports, as they are more about social engagement and exercise than about athletic skill-building. Not every team sport requires high-level communication and cooperation—and many can include an individual athlete as a valued team member. Here are some of the top team sports that could be a great match for your child. Swimming. Swimming is a wonderful sport for most people, including children with autism. Kids who have a tough time with ball-handling skills can do well with basic strokes and typical water play. What's more, strong swimmers with autism can be successful on swim teams because the sport allows for individual competition. Track and Field. Strangely, Americans teach their youngest children to play complex team sports like soccer while only high schoolers seem to compete in running and jumping! For kids with autism, track and field may be a terrific outlet. Track events require fewer communication skills than most team sports, yet kids who excel at track are valued team members. Bowling. Even though it's loud, bowling seems to be a natural sport for many kids with autism. Perhaps it's the repetition — bowl twice, sit down. Or maybe it's the satisfaction of seeing the pins come crashing down. Whatever the reasons, bowling is a great sport for social events that include kids on the autism spectrum. Bowling leagues are often welcoming and can be a good opportunity to become part of a sports organization. Young children of all abilities are typically included in school and recreational sports if they are capable of following instructions and interacting appropriately with team members. If this describes your child, he or she may be included with little or no problem, at least until the age when sports become competitive. If your child has a hard time following instruction or interacting appropriately, however, you may need to provide 1:1 support. Once tryouts become part of the mix in school sports, even high-functioning youngsters with autism may find it hard to make the cut. Some school teams offer children with special needs the opportunity to participate by helping to manage the team or by taking part in the game when their participation won't have an impact on the outcome of the game. It will be up to you and your child to decide whether this type of participation is a plus or minus; some youngsters love it, while others feel uncomfortable being the team "mascot." There is a whole world of non-team sports out there—and autistic children can and do take part in many of them. Skiing, surfing, sailing, and many more can be a great match for your child, especially if your family enjoys them. While you can choose any non-team sport, however, these are some of the most popular among folks on the spectrum. Horseback Riding. Horseback riding is pricey. That aside, though, it's a terrific sport for kids with autism. In fact, many autistic kids ride horses as a therapeutic activity (as such it's termed "hippotherapy"). It's not unusual for autistic kids to find it easier to communicate with animals than with people -- and many autistic children excel at horsemanship. Hiking (and Fishing). For many people with autism, the peace and quiet of the natural world is a great stress reliever. Hiking, which can be an individual or group activity, is an easy way to get exercise and enjoy nature without the pressure of intense social communication. Fishing is another sport that may be of interest to an autistic individual who enjoys the natural world. Biking. Bike riding can be tough for kids with autism, since balance may not come naturally. Once the basic skills are mastered, though, cycling can be a wonderful way to enjoy the outdoors. Like most of the sports described above, cycling can be enjoyed alone or in a group, just for fun or competitively. If your child enjoys the idea of biking and does well with training wheels, but finds a two-wheeler tricky, you may want to consider an adult trike, a tandem, or just sticking with the training wheels. Martial Arts. The martial arts—karate, judo, taekwondo, aikido, and more—combine the elements of predictability and structure with the challenges of physical interaction with other people. For many kids with autism, the martial arts are a wonderful way to build physical skills along with self-esteem. If you're hoping to get your child with autism involved with team sports, a good way to get started is by playing together just for fun. Whether you're shooting baskets, tossing the ball back and forth, or learning to skate, you'll be building both physical and social skills if you do it together. In the long run, it's experiences like shooting hoops with dad (even when the hoop is lowered) that help build parent-child connections. Gamify exercise with video systems like Wii and Kinect, which encourage players to move their bodies and learn new skills at home, without the pressure of being observed or encouraged to "join in." Consider classes (either general interest or autism-specific) in yoga, dance, or other types of movement. 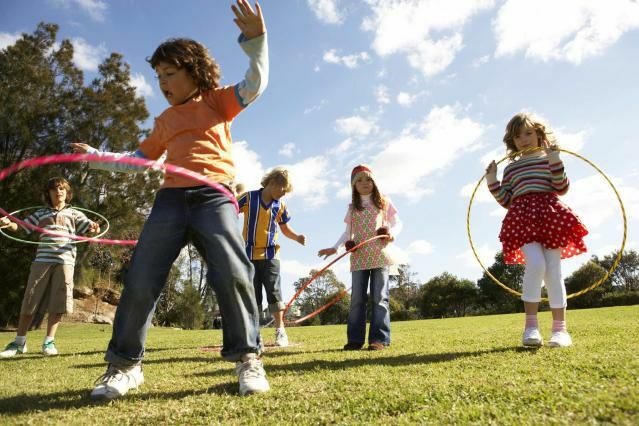 Create activities, such as obstacle courses or local "fun runs" that you and your child can do together.